A LEADING accountancy firm has proven its commitment to investing in staff and clients with a series of new appointments and promotions. Clive Owen LLP has recruited John McLean and Chris McCann to its IT branch, Clive Owen Technology Services – John as an apprentice and Chris as IT manager. Chris will support IT Services Director Lee Huck with internal IT matters, enabling Lee to focus on clients’ growth and development and expand the company’s service offering to SMEs. 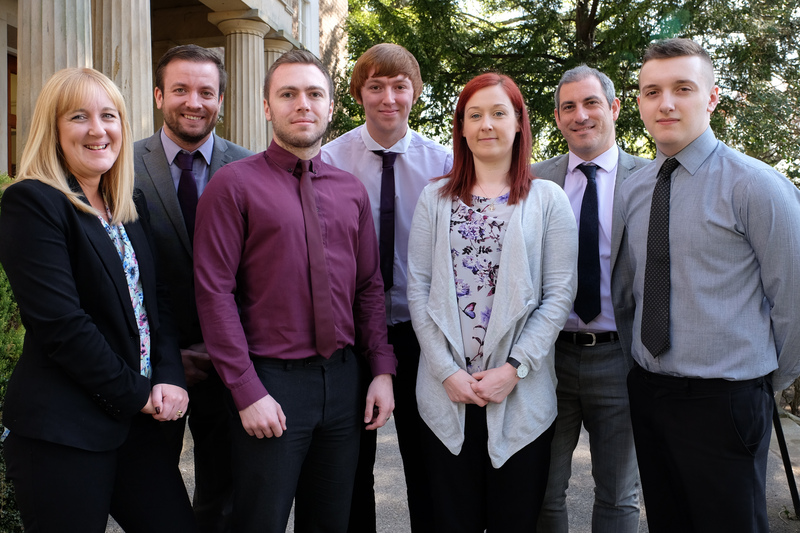 Cheryl Hunter is also new to the company, joining as a trainee in the audit department, while Gary Wallace, Amy Luckett and Michael Lanney have now qualified as a chartered accountants after passing their final exams. In addition, Claire Whitfield has been promoted to Assistant Manager, while Evie Moxon and Ellen Jacobs have joined the Darlington office as trainees. The Darlington-based firm, which provides business advice as well as a range of accountancy services, has appointed Matthew Ford and Stacey Fletcher to bolster its marketing team.